Leaders across the country congratulated AAP on its huge victory in Delhi elections. Even as all 15 candidates fielded by seven Left parties lost their deposits in the Assembly polls, the CPI(M) congratulated the people of Delhi for “decisively rejecting” the BJP in a “resounding” mandate, and hoped the new government will adopt policies for the “aam aadmi”. “The Aam Aadmi Party under the leadership of Arvind Kejriwal has won an unprecedented and resounding mandate in the Delhi Assembly election. The CPI(M) congratulates the people of Delhi for decisively rejecting the BJP. This massive mandate should enable the new government to adopt and implement policies in favour of the aam aadmi,” the party politburo said in a statement. The CPI welcomed the verdict and said the people of Delhi have rejected the BJP’s “arrogance”. “The CPI also salutes the voters of Delhi for rejecting the communal and anti-people economic policies of the Modi government. The people of Delhi by their massive mandate have registered their rejection of BJP arrogance and double speak,” it said. AAP’s landslide victory in Delhi was a sign of people’s disenchantment with the NDA government at the Centre, said activist Anna Hazare on Tuesday. “PM Narendra Modi and the BJP are synonymous and the defeat of one is the defeat of the other. The government’s failure to take concrete steps to fulfil their electoral promises is the main reason for the mandate. Delhi’s result is a clear sign that people’s trust in the government is on the wane,” he said. Asked about his message to the CM designate, Hazare said, “Arvind is a very capable and selfless man. He has experience in governance at various levels and I do not think I will be the right person to advise him on that.” Hazare said he was not averse to meeting Kejriwal, but added that he will not attend the swearing-in ceremony. 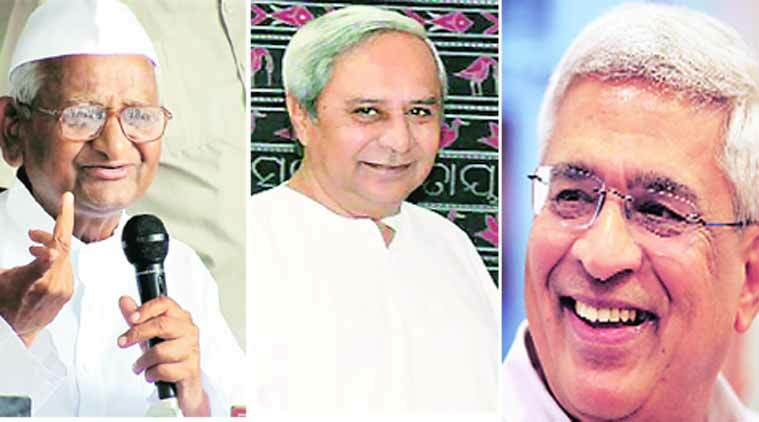 A senior BJD leader on Tuesday predicted that AAP would soon be a national alternative to the Congress and the BJP. While Orissa chief minister and BJP chief Naveen Patnaik sent a congratulatory note to Arvind Kejriwal, BJD MLA Ranendra Pratap Swain said AAP’s victory shows that people are searching for an alternative to the major parties. “While Congress failed to open its account, the BJP, which had given a call for a Congress-free country, has also been decimated,” said Swain in the Assembly. “The people of India want an alternative, an alternative political platform and an alternative economic platform,” said Swain. The BJD leader said it was a matter of concern that Congress has become redundant. “The economic agenda of the last UPA government and the efforts of the present government, which had announced to make India Congress-free, have been rejected by the people of Delhi. Delhi has become free of both the Congress and the BJP,” he said.